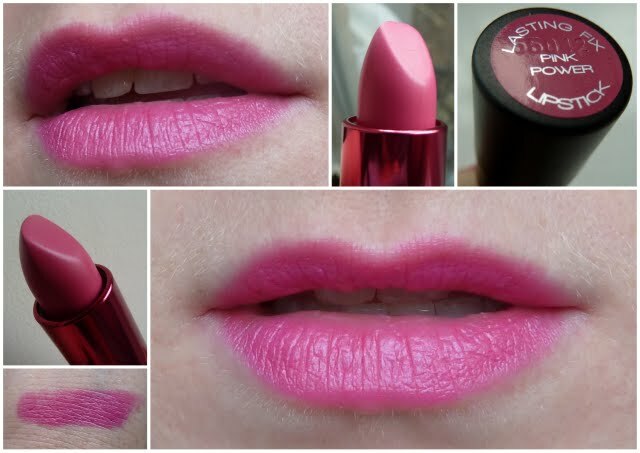 Hot pink lippie is one of those looks/products that I absolutely love but don’t wear anywhere near as often as I should. I have been trying a bit more to incorporate it into my daily make-up routine a bit more – especially for a very speedy transformation from day to night in a slick of a lippie. This shade is one of the new additions to Boot’s 17 Lasting Fix collection called ‘Pink Power’ and I think it’s a stunner. A blue toned pink that applies brighter as a swatch than on the lips, it slicks on as a powerful pop of colour that I find is still easy to wear. I think hot pink is a good colour if you are a bit scared for the full-on-feminine classic red. Pink is just as girly, but has a bit more of a youthful, playful edge. Which do you prefer – classic red or playful pink?? Such a pretty pink! I love both pinks and reds, but find myself wearing pink more often 🙂 I wish we had Boots in the States! That’s a pretty pink shade. I love red lippies but have only recently started to wear pink. I love it so far. I love the colour! Does it last on the lips long before needing to be reapplied? My nails are the same colour today (Rimmel I Heart Lasting Finish in Hotshot)! I think it’s the sun that’s done it to them.